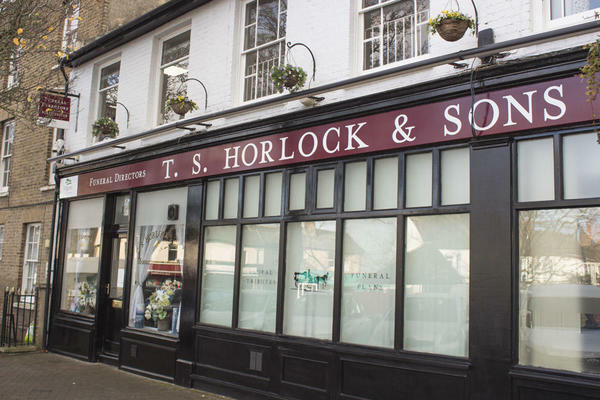 T S Horlock & Son Funeral Directors have provided funeral services for over 100 years. Guided by different generations of the Horlock family, we have supported our local community of Gravesend with bespoke, professional funeral services, and continue to do so as Dignity funeral directors. We strive to set the bar with consistently high standards of funeral care, service and facilities, and our funeral home houses four chapels of rest. These peaceful, tastefully decorated chapels allow you to spend time with your loved one prior to the funeral. We understand that losing a loved one is difficult, and we want you to know that we are here to help you. We will do everything we can to give your loved one a fitting farewell. We are never more than a phone call away. We are here for you, every step of the way. Please call us today on 01474 352159 at any hour. At T S Horlock & Son Funeral Directors, we understand how special life is with those that you love. For us, every funeral is unique and personal. We have a service to fulfil every wish, with every detail carried out with the same uncompromising quality of care. From a traditional service, to a colourful woodland burial, your options are limitless with our Full Service Funeral. If you have a little more flexibility when it comes to arrangements, then we can provide a Simple Funeral for a lower cost. There is free parking for two hours at the front of the funeral home, with additional parking behind the Coach and Horses public house. We are next to St Botolphs Church and Community Centre. Our staff are available 24 hours a day on 01474 352159 if you require our services outside of these hours.